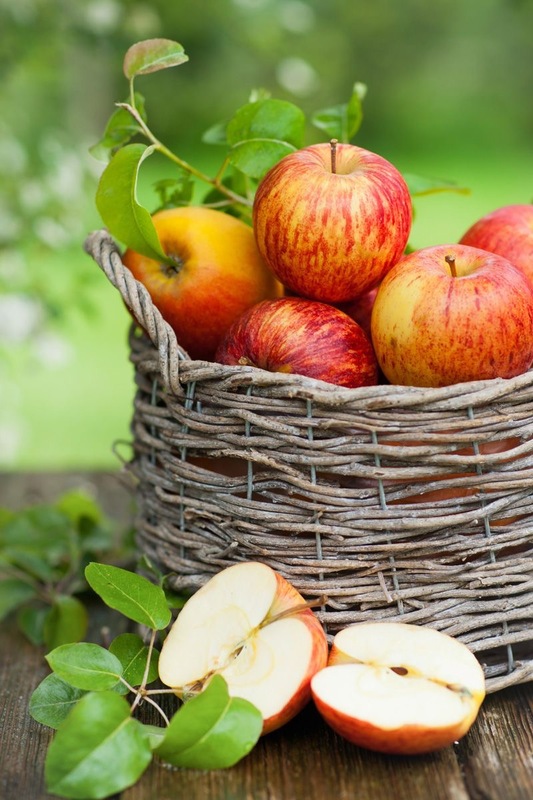 One Apple, Makes One Tart That Feeds Four! Sometimes you need a quick dessert that wows the audience. This “One” is going do just that! You don’t need much to put it together. We love anything made with puff pastry. The quality of a ready-made butter pastry is perfect for this dessert. We make it early in the day, pop it into the freezer, then bake it while everyone is eating the main course. 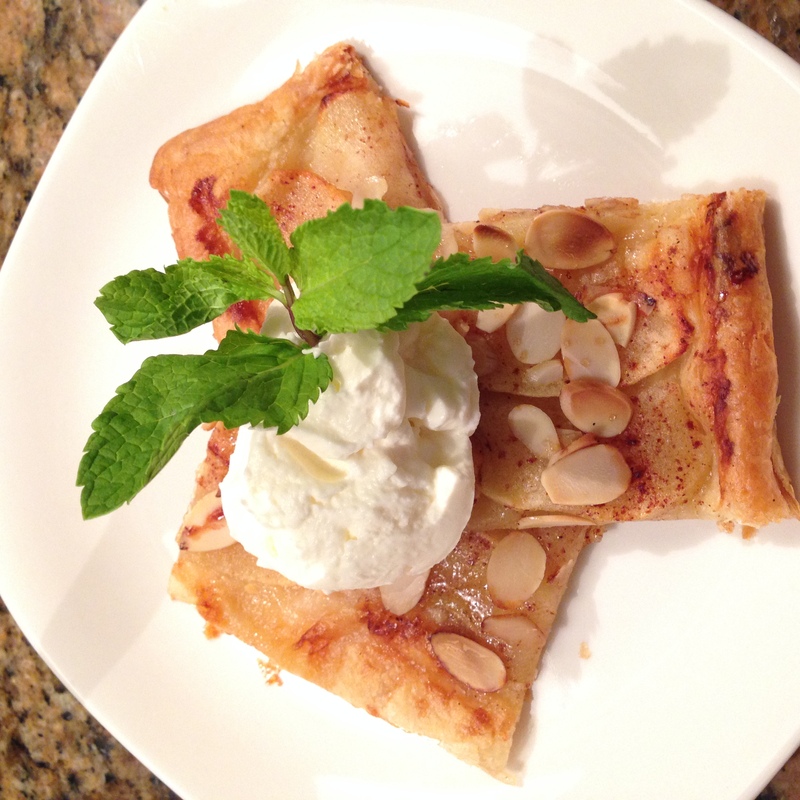 Lets face it, a warm apple tart with a dollop of fresh cold whipping cream is always welcome. Total prep time for this dessert is only 10 minutes once you have the ingredients on the work table, so lets make the “One” Tart! 1 tsp Demarera sugar or any course sugar to sprinkle over the tart. Now you see why we call this the “One” Tart! Begin by allowing the pastry to thaw. Roll it out on a fresh sheet of parchment paper on a baking sheet and prick all over with a fork. Place in the freezer while you peel the apple. Peel the apple and cut in half or quarters. Remove the core and slice the apple so it’s about 1/8th inch thick. You want enough to cover the tart in a single layer. Remove the baking sheet from the freezer and using a pastry brush, spread the melted butter all over the tart. It will solidify right away. That’s what you want! 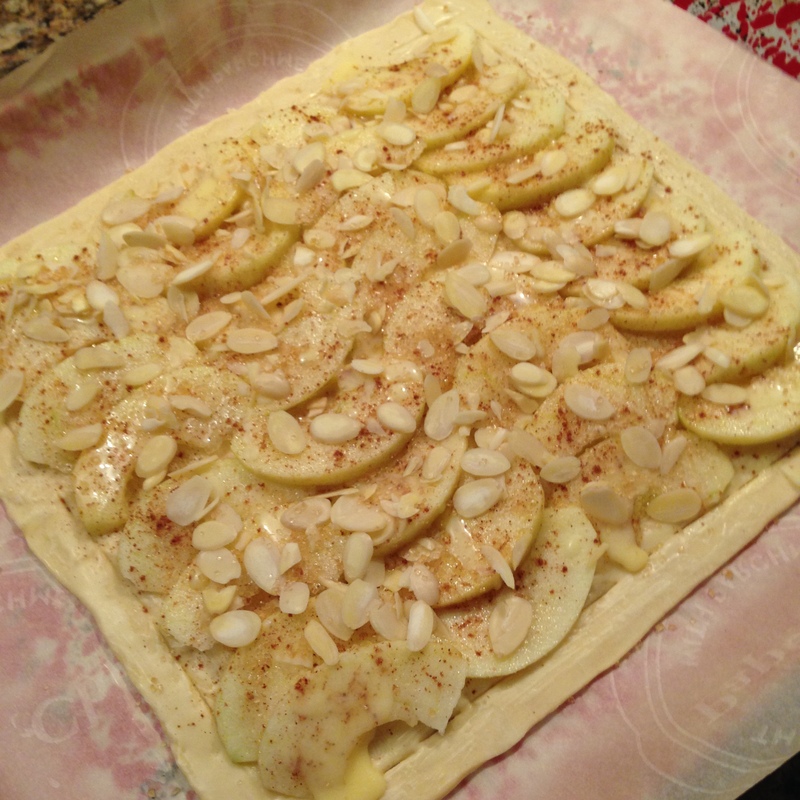 Layer the apples in an interesting pattern to within 1/2 inch of the pastry edge. Drizzle the honey over the apples, sprinkle with the cinnamon, place the almonds on the apples and pinch the sugar over the top. Lightly run a butter knife around the edge of the crust about 1/2 in from the edge. This lets the crust puff a bit. Now you can decide if you are baking it right away. If you want it for later in the day pop it back in the freezer and the apples will stay nice and white till you’re ready. It’s ready for the oven! Bake for 10-15 minutes in a hot oven at 400F. Puff Pastry does best when it’s cold before being placed in a hot oven. It causes the pastry to rise and become light and crispy. When the “One” tart is baked, slice into 4 generous pieces and top with a heaping tablespoon of sweetened whipping cream.